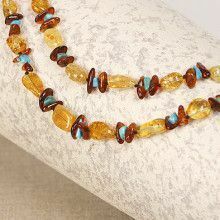 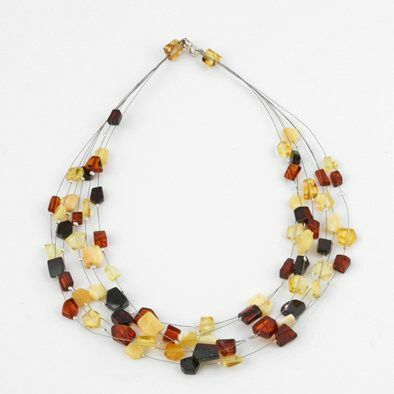 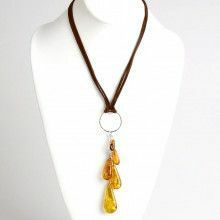 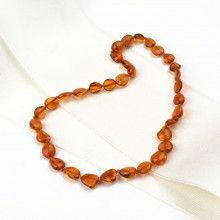 This multi-strand floating wire necklace with flat free-form pieces of honey, cherry, cognac, butterscotch, and citrine amber has a great look of airiness, which creates a subtle beauty. 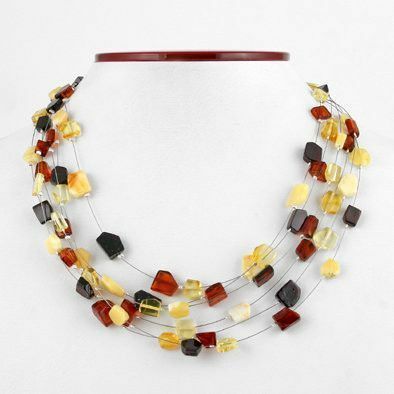 It will look elegant with either t-shirt, or a dress, and can we worn for any occasion. 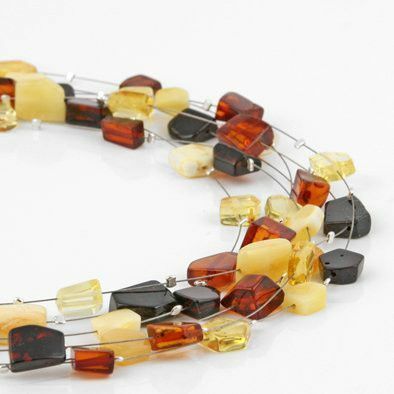 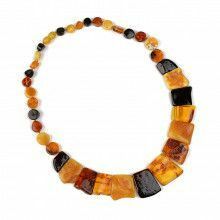 Did you know that Baltic amber occurs in about 300 of different colors and shades?